The anti-cancer diet is really simple. It is basically composed of all kinds of fiber rich and alkaline foods that provide good nutrition to your body. Including such foods in your daily meals is one of your best weapons in prevention against malignant tumor growth. You also get a bonus for eating cancer prevention foods daily. They are so good that they can also protect you from all other kinds of disease. How is this diet anti-disease? For one, they keep your heart healthy and your weight down which can help protect against heart diseases. According to facts from the 2007 Expert Report of the World Cancer Research Fund, the kind of diet we have, in addition to healthy lifestyle choices such as daily exercise and consistent sun protection, is a key to prevention of almost all cancers. If you want inspiration on how eating the right way can protect you from tumors, check out the late Dr. David Servan-Schreiber's book, Anticancer, A New Way of Life, New Edition. In it, he shared his rewarding journey on defying brain cancer (and his doctor's pronouncement that he only had 6 months to live from the day of his diagnosis) and extending his life for 16 more years by changing how and what he ate. The basics include . . .
A major part of the anti-cancer diet is alkaline food such as fruits and vegetables. Remember your mom telling you veggies are good for you so you must eat them? Well, mothers really know best nutrition-wise. Your mom has the correct facts because she is definitely right on this one. A minimum of 7 servings of fruits and vegetables daily is what you must include in your diet. More is even recommended because experts report that consuming 400 grams or more of fruits and vegetables can prevent at least 20% of all types of tumor. Those who eat the highest amount of fruits and vegetables have reduced their risk by as much as 50%. If you have been diagnosed with the disease, your diet should be geared towards creating an anti-tumor environment inside your body to help you get through your treatment and to prevent the spread of cancerous cells. How can having a diet composed of more fruits and vegetables be one of the best prevention steps? These foods are one of the best nutritional sources and they contain plenty of phytochemicals. Phytochemicals are nutrients that are anti-tumor. 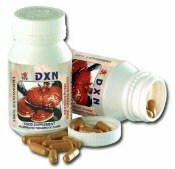 They are very powerful in protecting your healthy cells from damage. they have anti-viral and anti-bacterial qualities. In a healthy environment, the likelihood that tumors may develop or spread further is greatly reduced. Make yourself a bowl of fresh green salad everyday. Sprinkle with extra virgin olive oil, which is now being seriously considered for its preventive effects on breast tumor. Yes, you read it right. Prevention for cancers is one of the olive oil's health benefits. Fiber is a complex carbohydrate from the outer part of a plant. If you eat it, your digestive system won't be able to break it down and you won't be able to get its nutrients. Fiber can only be broken down by the bacteria in your colon. 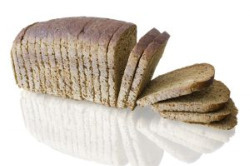 So, what's the use of foods that are high in fiber but can't be digested? Prevention against many types of tumor, especially colon polyps. How do fiber rich foods prevent colon tumor? According to facts from studies, carcinogens from some unhealthy foods that you eat end up in your stools. Including insoluble and soluble fiber in your diet is an effective and natural way of colon cleansing. Fiber is anti-tumor because it protects you by doing the following . . . It makes your stool bulkier and it dilutes carcinogens. It sweeps away cancer-causing substances or compounds out of your body before they can create damage by excreting stools faster.This reduces the time that the colon is in contact with cancer-causing substances. Foods high in fiber can reduce hormone production, hence decreasing the incidence of hormone-related cancers such as prostate and breast cancers. The National Cancer Institute suggests eating 20 to 30 grams of foods rich in fiber daily. What you eat is your decision. Your eating choices will make a big difference to your health. So, what are you having today? 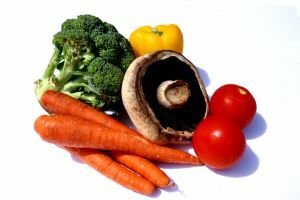 Foods that belong to the anti-cancer diet or foods that cause cancer?